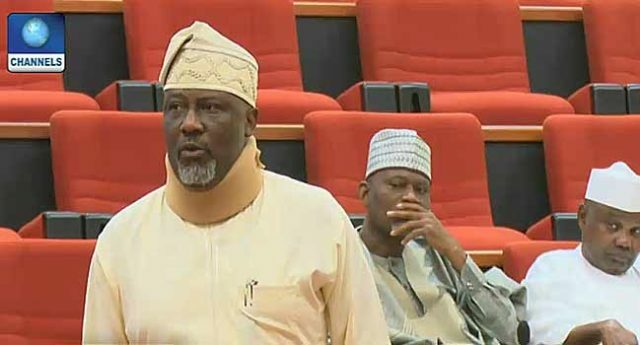 he Senator representing Kogi West Senatorial District, Dino Melaye, has asked President Muhammadu Buhari to apologise for allegedly making disparaging statements against the integrity of the Parliament where he said some lawmakers have been in the National Assembly for 10 years without doing anything. Senator Melaye during plenary on Thursday drew the attention of the Senate to the comments which he described as uncomplimentary language and has asked President Buhari to tender an apology to the National Assembly. Senator Melaye also presented video evidence to the Senate showing where President Buhari made the statement when he met with members of his campaign organisation led by Comptroller of Nigerian Customs, Hameed Ali at the Aso Rock Villa. 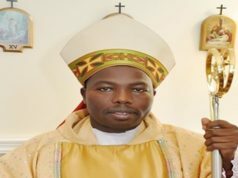 Senator Melaye also questioned why the Comptroller General of Customs, Hameed Ali should be at the head of the campaign organisation of President Muhammadu Buhari. He says the Nigeria Customs is a paramilitary organisation and argues that the position of Comptroller General is a rank which should be separated from politics. The lawmaker said this was part of why he moved the motion earlier that the Comptroller of Customs should wear his uniform. MRDD Logo and Inec Shenanigan defence in Court.